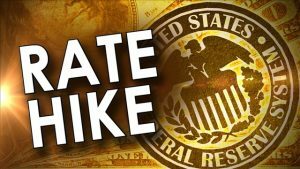 The Federal Reserve announced its widely-expected .25% rate hike today. Does this mean mortgage rates will go up? Actually, no; in fact, mortgage rates improved a bit today, as they have been doing consistently Since November 13. Think of the Federal Funds rate as being similar to the accelerator and the brake on a car. The car is the economy. When the Fed decides that the economy needs to speed up, they press the accelerator by lowering the Federal Funds rate. 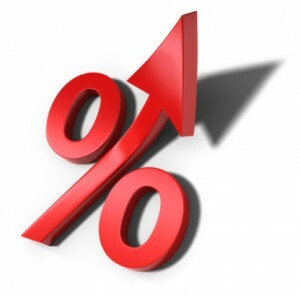 Changing this rate affects the Prime Rate, which floats 3% above the Federal Funds Rate. Lowering rates makes it cheaper for business and consumers to borrow money, stimulating the economy. The Fed walks a sort of financial tightrope. If the cost of money is too low (an “accommodative” policy), the economy may get rolling too fast and inflation will spike too high. When the FOMC, in all its wisdom (and, I’m sure, a few tea leaves) decides that there is too much inflation on the horizon because the economy is picking up speed, they raise rates—they put on the brakes. 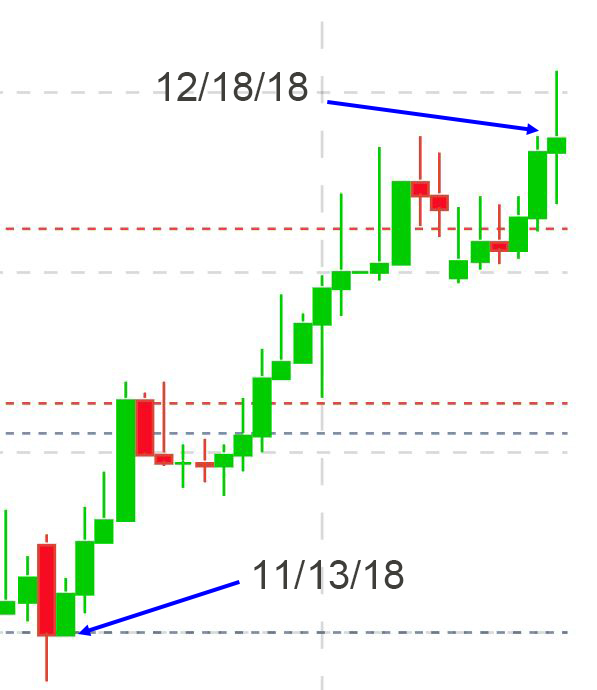 That is what they have been doing through all of 2018; this latest increase is the fourth, raising the Federal Funds rate to 2.5%. But if the Fed just raised rates, why are mortgage rates going down? Thank you for asking that excellent question. The answer is that the Fed has nothing to do with mortgage rates. Those are based almost entirely on what investors are paying for mortgages on any given day. You may already know that most mortgages are ultimately sold to investors. Fannie Mae and Freddie Mac, two names that may be familiar, exist to buy loans from banks like Pinnacle. 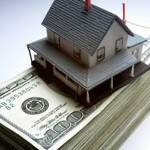 Lenders set their interest rates each day on what Fannie, Freddie and other investors are currently paying for loans. When the price of the loans goes up, rates come down. A mortgage is most commonly a fixed-income investment. Because of this, it is sensitive to inflation. If investors think inflation is increasing, they tend to pay less for mortgages, or to sell the ones they already have. That makes the price of mortgages go down and rates go up. When the Fed raises the Federal Funds rate, they are sending a signal to the market: “We’re paying attention to inflation and won’t let it get out of hand.” The investors heave a big sigh of institutional relief and continue buying mortgages. 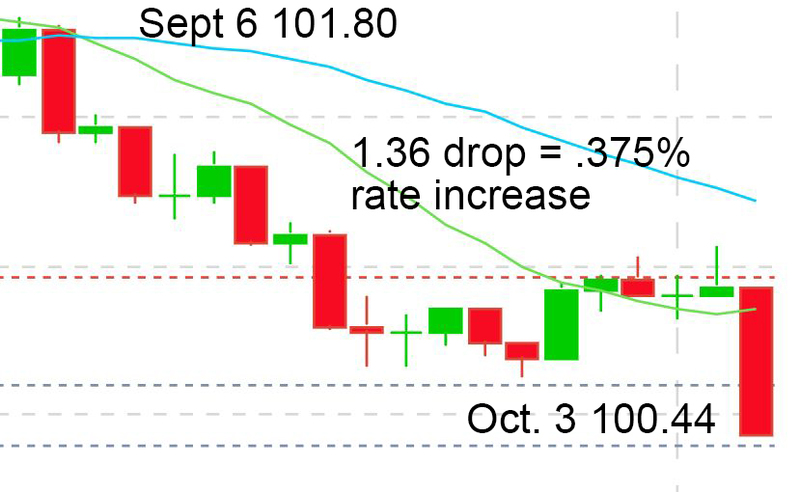 We have been seeing mortgage rates settling slightly lower since November 13 of this year. The reason they’ve been dropping is that the price of mortgages (specifically the pooled mortgages, called Mortgage Backed Securities) has been steadily going up. The green bars represent days when the price went up (lower rates). Red means the price went down (higher rates). The increase in the price of mortgages since November 13 represents a drop of about 3/8% in rate. The message you should take away from this is that the Fed raising rates is not a bad thing for mortgage rates. It is, more often than not, a good thing. Still, the one thing we can count on is change. Even though rates have been improving, there is no guarantee that they will continue this trend. There does come a time when investors want to take their profits off the table. When that happens, expect rates to go up, at least temporarily. If you think a new home is in your future, now is a good time to start the process. You may already be aware that some cities in California impose transfer taxes on top of the one charged in all counties. The county tax, which is $1.10 per $1,000 of transferred value, will remain the same, but some Northern California cities will see a big increase. 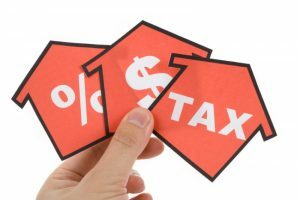 The city transfer tax is commonly split between buyer and seller 50/50, but everyone should be aware of the changes, which will presumably take effect on January 1, 2019. Note that El Cerrito did not previously have a transfer tax. Now, buyers and sellers will have to deal with an additional cost of 1.2% of the purchase price. The median price among the 24 active listings in El Cerrito as of this writing is $799,475. This represents an additional $9,993 in cost to be shared between buyer and seller. 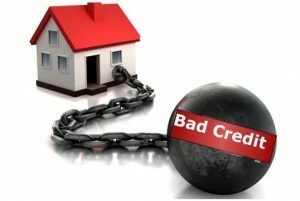 Mortgage lenders in particular need to be aware of this change; they are responsible for disclosing transfer taxes when they send their disclosures to their borrowers, regardless of who will pay them. Being a buyer in today’s hyper-competitive Bay Area market can be discouraging. You can put the odds in your favor, though. Just be aware of the basics and keep your expectations in line with reality. Let’s start with the “reality” part. Prices here are stratospheric. There’s nothing we can do about that fact, but you should keep in mind that when a Realtor lists a home at a certain price, they have already researched earlier sales of similar homes in the area to arrive at an offering price that is likely to draw an offer (or offers). A property listed at, say, $750,000 may seem drastically overpriced to you, but a seller is very unlikely to accept a price far below that figure. In those common instances where multiple people are vying to buy the same prices, sales above asking price are not at all uncommon. Inventory all across the Bay Area is in short supply, so properties sell very quickly—often in a matter of days. Because of this fact, buyers have very little opportunity to “mull over” a possible purchase. Taking a few days to decide to make an offer on a home is very likely to mean someone else gets it. If a seller receives two offers netting them precisely the same amount of cash at close, but one has a larger down payment, that will almost always be the one they’ll accept. The reason for this is the misinformed belief that getting a mortgage is insanely difficult, and the buyer with the larger down payment has a better chance of ultimately getting funded. This is simply wrong, but sellers—and their agents—continue to believe it. Accept the likelihood that you may not get the first property you like and offer to buy. It’s disappointing, but it is not a personal rejection. It is just the reality of today’s marketplace. If the seller accepts someone else’s offer, just brush yourself off and go to the next house that meets your needs. If you keep at it, you WILL succeed. Now that I’ve spelled out the unattractive reality, I’ll suggest some strategies to succeed in your quest for home ownership. No seller will seriously consider any offer unless the buyer provides convincing evidence that they’ll be able to get their loan. You may have heard the term, “prequalification.” You should now eliminate that word from your vocabulary. A “prequal” is meaningless; it is essentially a mortgage loan officer’s opinion about your ability to qualify for a mortgage. They will have pulled your credit report and possibly taken a loan application. Based on that basic information, the loan officer writes a “prequal letter” indicating that you are qualified for a purchase of a certain amount. Sellers (and their agents) are highly skeptical of these kinds of letters because they have been burned a few times. What you want is a preapproval. This means that your lender will have gotten all the documentation needed to approve your loan. They will have verified your income and assets using pay stubs, W2s, possibly tax returns and bank statements. Their preapproval letter should outline exactly what they have done to preapprove your loan. If your financial situation is up to interpretation in any way—such as a self-employed borrower, a wage earner who receives bonuses and/or overtime, someone who receives income from rental property—you should ask for a “TBD approval.” This means that the lender’s underwriter has fully reviewed and approved your application even though the property is To Be Determined. This way, the seller will know that your loan has been fully approved, waiting only for the purchase contract, title report and appraisal. This is by far the most convincing and effective type of letter to accompany your offer. When you’re making your offer, it’s a good idea to document the source of your cash to buy. You can do this with a recent bank statement showing that you have the wherewithal to close. Redacting (blanking out account numbers) is completely acceptable. Selling a home can be an intensely personal and emotional experience. You may be able to tilt the odds in your favor by writing a personal letter to the seller to include with your offer. You’d talk about how much you appreciate their home and look forward to raising your family there if they accept your offer. I’ll be the first to admit that this “love letter” approach is cheesy; but there is absolutely no downside to doing this. I advised a couple to do this a few years ago. They went completely over the top with their letter—and prevailed over several other competing offers. It was such a lovely story I wrote about it—and included their excellent (and effective) letter in an earlier post. If you have the ability (and willingness) to increase your down payment, you’ll obviously have to pay on a smaller loan—but you may also get a small benefit in rate. Every little bit helps. Buyers and their agents tend to think “down payment assistance” when they hear about first-time buyer programs. There are more choices in this area than getting help with the down payment. One of the most useful—and least well known—is tax credits available for many first-time buyers. There are some restrictions for these credits, but if you qualify, you’ll be able to claim 20% of the mortgage interest you pay every year as a tax credit. This means that the amount is subtracted from the actual taxes you owe in that year. If you pay $20,000 mortgage interest, your tax credit will be $4,000, so if your total income tax bill comes to $8,000, you’ll now owe $4,000. You get the credit each year for as long as you own the property and live there. Most mortgages are ultimately sold to Fannie Mae, Freddie Mac or (in the case of FHA or VA loans) Ginnie Mae. Fannie and Freddie use “risk-based pricing.” This means that they adjust your interest rate based on a combination of your credit score and the loan-to-value ratio. Although the minimum score required for a conventional loan is 620, the rate for a borrower with that score will be approximately .75% higher than for a borrower with a score of 740 or higher. There are several steps in between, so if your credit score is close to one of the rate thresholds, you may be able to save thousands of dollars by optimizing your score by even a few points if it gets you into a better pricing bracket. These risk-based adjustments are consistent across all lenders. If your down payment is less than 20%—and smaller down payments are definitely the norm—the lender will require mortgage insurance(MI) to limit their risk. Buying a home for, say, $550,000 with a 10% down payment, you’ll pay $169 per month if your credit score is 740 or higher. With a down payment of 5%, the monthly insurance will go to $257 per month. You can avoid that monthly MI payment by selecting “single premium MI.” As the name implies, you make a single payment in lieu of a monthly payment. For a 90% loan, the one-time premium is less than 2% of the loan amount—and it is added to the base loan amount. It does not come out of your pocket. Even though your loan amount will be a bit higher, your monthly payment will be significantly lower because you won’t pay the monthly insurance premium. Getting into the Bay Area real estate market can be daunting. You may have some moments of discouragement; but if you take some time to prepare, you’ll be fine. If you’d like a detailed action plan for your own situation, just give us a call: 925-383-2846.